JG Larochette came to work for Playworks during its Sports4Kids days and ultimately went on to become a teacher, starting as a sub at the Richmond, CA elementary school where he had been a Playworks coach. Although he was passionate about supporting students, JG noticed that as his work shifted away from the daily opportunities for play he had experienced as a coach, he started experiencing greater levels of anxiety due to seeing the daily stress and traumas the students were experiencing and the negative impact on learning. Depression set in, and JG turned to yoga and running, which helped. Ultimately, it was mindfulness that helped him really begin to regain his sense of purpose. JG began to experiment with introducing mindfulness to his students and realized immediately that there was power here. He also realized that he needed to make sure that the experience was culturally relevant for the students at his school. So JG founded Mindful Life Project in the Fall of 2012. Soon after, his childhood best friend, Jason Young, realized how transformative the organization could become and joined him. They never looked back. Jason and JG have been best friends since they were six years old. Looking back, JG says he thinks now that playing and doing sports were how they both found the mindfulness and social-emotional support they needed to see them through. Fast forward 25 years, and JG and Jason are helping other kids experience mindfulness through the things they already love. Mindful Life is different from most mindfulness programs in that it emphasizes helping kids get back to what they already know. The program incorporates expressive arts and hip-hop music—​not what most people think of when they think of meditation. JG is adamant that this approach is critical to the program’s success. Mindful Life is about giving kids access to empowerment, self-awareness, and self-confidence through mindfulness, instead of being a tool for behavior management. 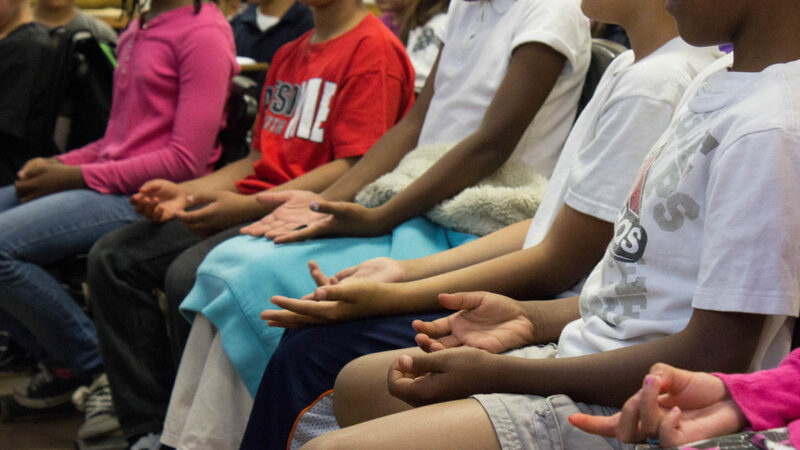 JG and Jason have grown Mindful Life to be the biggest direct service mindfulness nonprofit in the country and their goal is to continue growing, ultimately partnering so that every inner-city child in the US has access to mindfulness as a tool.